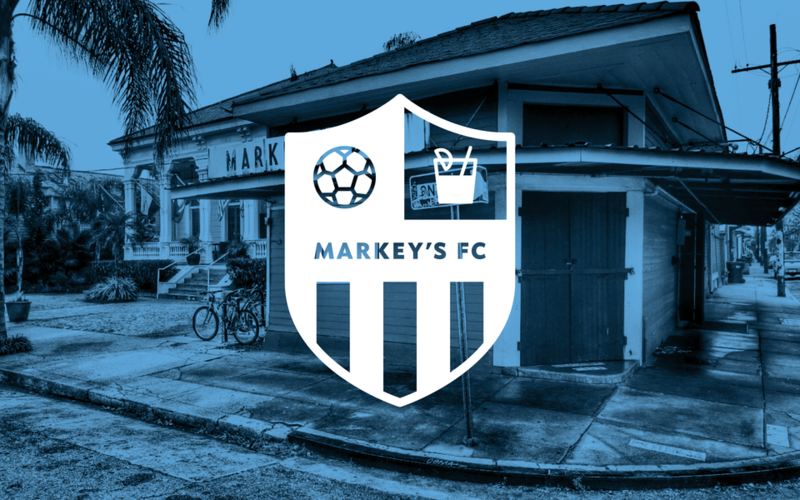 When I’m not graphic designing (or watching movies) I play on a recreational soccer team that is sponsored by one my favorite neighborhood watering holes: Markey’s Pub in the Bywater. We have quite a bit of fun playing, but we’re not so great when it comes to results. So, I thought it might be a good idea to spruce up our branding a bit so that we at least appear more serious and professional. And who knows; maybe that’ll psyche out our opponents. Or at least confuse them by making them think “Whoa, those guys look amazing.” Any edge you can get right? 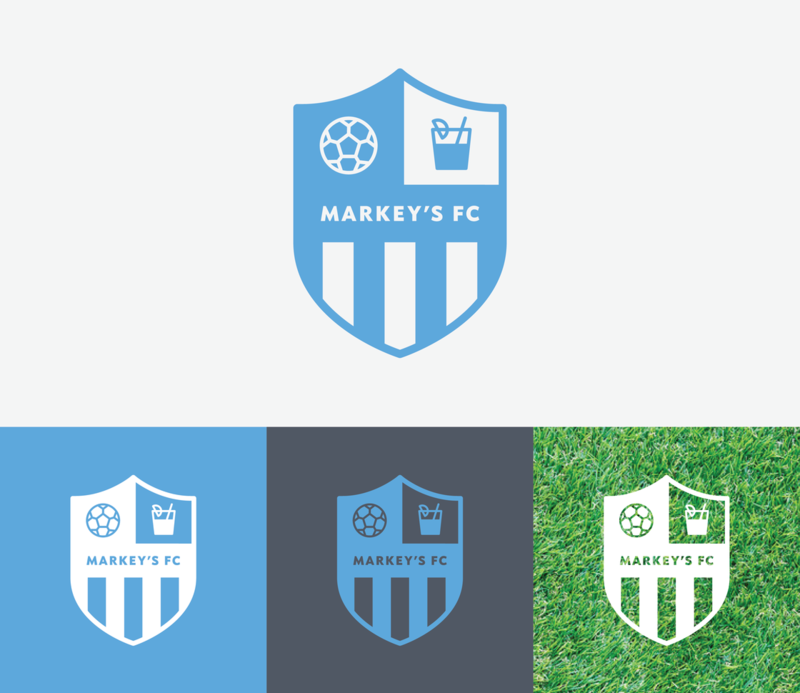 I started the process by surveying logos from club teams across Europe and the Americas. While the level of design was all over the map, I did find myself being most drawn to crest and circular logos, both of which seem to be omnipresent no matter what country you’re in. In the end, decided to ditch the banners in order to create a more self-contained mark. After borrowing some ideas from the Barcelona crest (talk about aiming high!) as a starting point, I took another pass through, merging some of the above visual tropes (a soccer ball, stripes, a drink!) 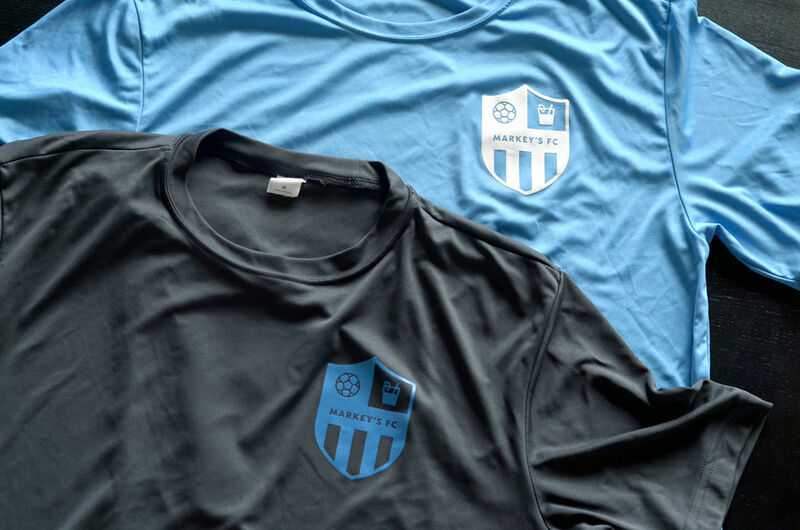 and then limited the design to a single color so our jerseys wouldn’t cost a fortune. Ok, so this probably won’t strike fear into the hearts of our opponents, but we are getting a little better every game, so maybe it doesn’t have to. But we sure do look good, and we’re definitely better at drinking than the rest of those teams. Contents © 2012–19 Southpaw Creative. All Rights Reserved.